Kobo is running a 40% off sale on a number of titles, including my paranormal suspense / urban fantasy novel, The Wolf at the End of the World. Here's the link to the promo page on Kobo. Use discount code 40SAVE. The sale runs from today to Oct 30. This news is so cool from several viewpoints. 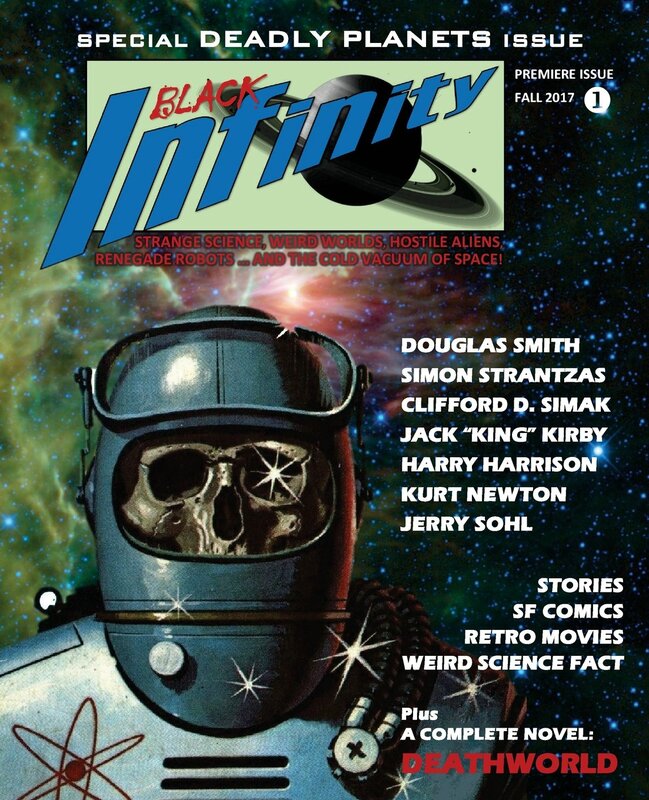 First, my story "Going Harvey in the Big House" is being reprinted in the very first issue of the new SF magazine, Black Infinity, now available here on Amazon. This issue is titled "Deadly Planets." That's great all by itself, but check out the awesome retro-SF cover. Isn't that great? Love it. 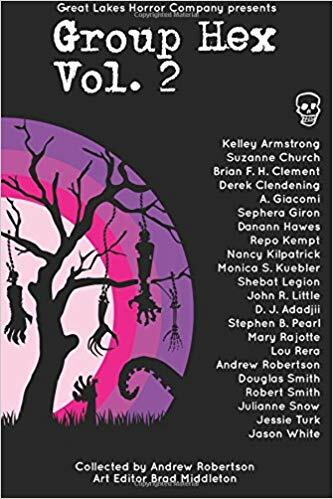 But the absolute best part is getting my name on the cover on top of a list that includes Clifford D. Simak, Harry Harrison, and Jack Kirby. I loved Simak's short stories when I started reading SF, especially his novel Out of Their Minds. And I devoured Harrison's Stainless Steel Rat books. And Jack Kirby? The "King of Comics"? Yeah, definitely made my day. "Going Harvey in the Big House" first appeared in the US young adult magazine, Cicada, in 2005. It was a finalist for Canada's Aurora Award in 2006. I hope you'll check out the issue and help support a new magazine. Amazon link is here. Here's another great ebook bundle promotion from BookFunnel that is launching this Sunday. This one offers seventy-five science fiction and fantasy titles – and all for free! Once again, you can download any or all of the books in the bundle. And again, for any book you download, all you need to do is give your email address and agree to subscribe to the author's mailing list. BookFunnel is painless and smooth in getting your ebook onto your ereader, no matter what type of device you use. If you encounter problems getting the book onto your ereader, BookFunnel technical support is there to help you. As I've said before, I see no downside to these promos for readers. You can always unsubscribe to an author's newsletter(s) at any time. But you might not want to. Many authors, like me, give away free stuff to their subscribers or offer other perks to followers such as discounts, special offers, or chances to be beta readers or participate in cool contests (like getting a character in a book named after you). So check out the bundle here. It runs from October 22-28, then it's over. Another great ebook bundle promotion from BookFunnel is launching today. 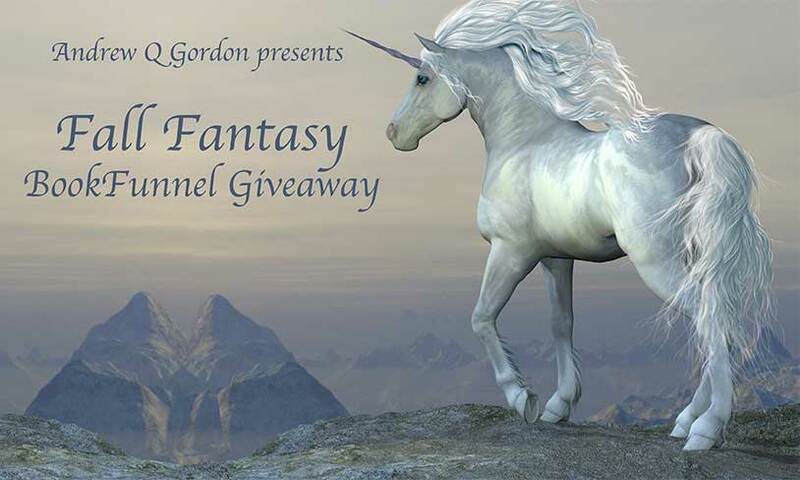 This one offers fifty fantasy titles and all for free! The promotion works like others from BookFunnel. You can download any or all of the books in the bundle just by signing up to the author's mailing list by providing your email address. And BookFunnel is fantastic in getting your ebook onto your ereader, no matter what type of device you use. If you encounter any problems getting the book onto your ereader (unlikely), BookFunnel technical support is there to help you. There's no downside to these promos for readers. You can always unsubscribe to the newsletter(s) after at any time. But you might not want to. Many authors, like me, give away free stuff to their subscribers on a regular basis or offer other perks to followers such as discounts, special offers, or chances to be beta readers or participate in cool contests (like getting a character in a book named after you). So check out the bundle here. It runs from October 16-30, then it's over. 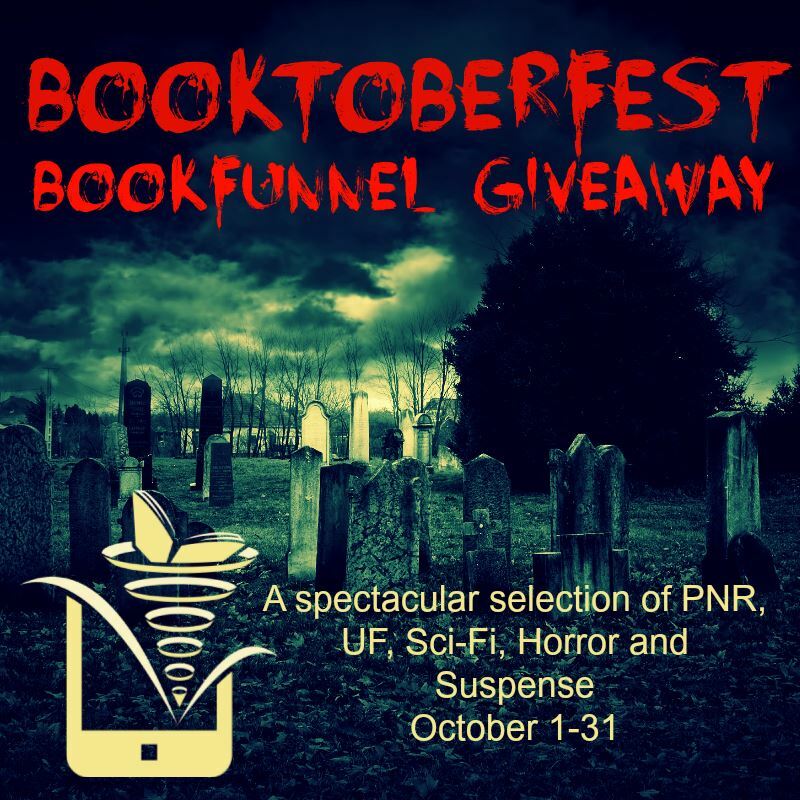 Booktoberfest is another great ebook bundle with a great selection of 70+ paranormal romance, urban fantasy, science fiction, horror, and suspense titles. 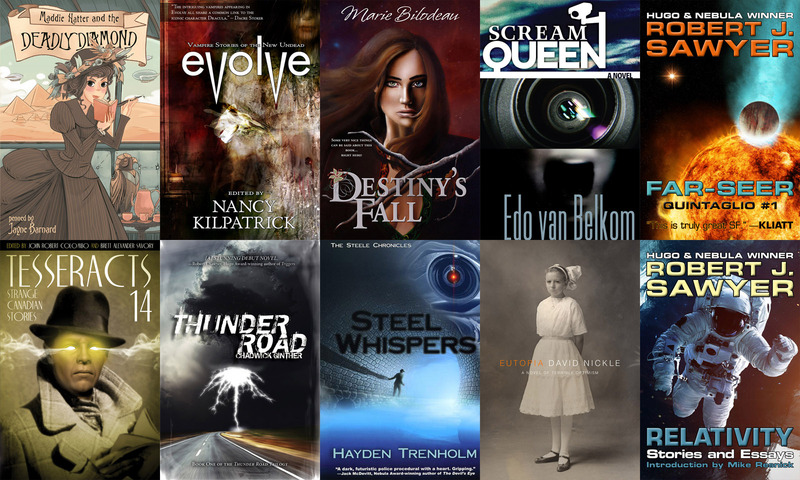 The bundle is a promotion from BookFunnel, which means that all the titles are FREE! Yep, over seventy ebooks for free. As with any BookFunnel promotion, you can download any or all of the books in the bundle, provided you signup to the author's mailing list by providing your email address. And BookFunnel is fantastic in getting your ebook onto your ereader, no matter what type of device you use. So check out the bundle here. It runs to October 31, then it's over. I'm delighted to have one of my books included in the first ever fantasy ebook bundle from the Science Fiction and Fantasy Writers of America (SFWA) and delivered by StoryBundle. The bundle runs from today to Thursday, November 2. 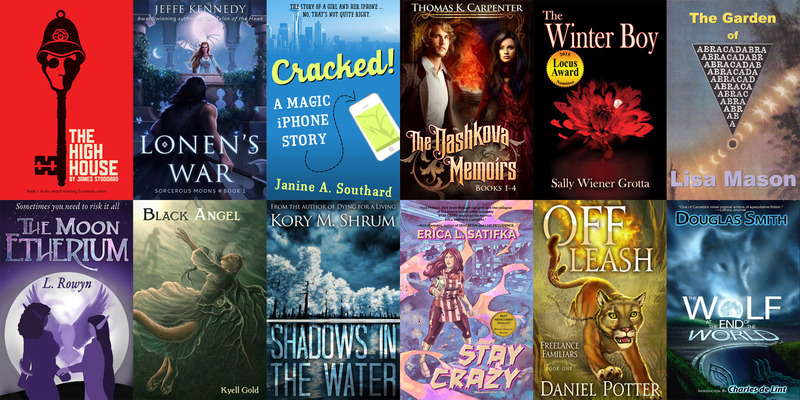 This bundle offers twelve excellent fantasy titles, all from SFWA pros. Pay a minimum of $5 to get the basic bundle of four titles. Pay $15 or more, and get all twelve titles. Buy the bundle here and check out this page for more information. Here's another great ebook bundle, this one a collection of horror and dark fantasy tales, perfect for Halloween, including my collection IMPOSSIBILIA. It's from BundleRabbit, who have multiple bundles available all the time, and are great to deal with. This one has over eighty titles for an incredibly low price of only $5.99. Hard to beat that deal. Check it out here.